With Dustfinger dead, and the evil Adderhead in control, the story in which Meggie and Mo are trapped has taken an unhappy turn. Even Elinor, left alone in the real world, believes her family to be forever lost between the covers of a book. But as winter comes, there is reason to hope. If Meggie and Mo can make a nightmare deal with death, will they finally escape? 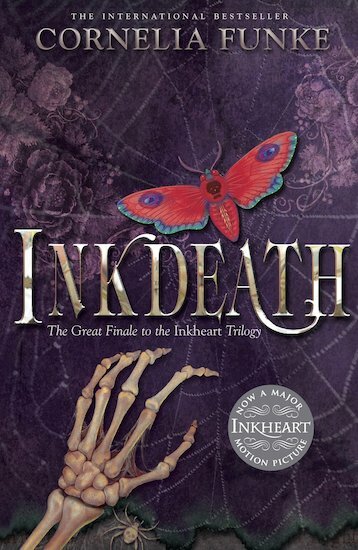 The smash-hit finale to the bestselling Inkheart trilogy is a book to lose yourself in, time and time again! An amazing book filled with imagination and adventure, the power all readers secretly think they have, to read things to life. It seems that all of Cornelia Funke’s books are just awesome. the finale to a brilliant trilogy. I was hooked onto this book, I just couldn’t tell what was going to happen next! Definitely recommend the whole trilogy to an avid reader as they are all truly amazing. But it is confusing, so re-reading some bits is necessary to get the grasp of the story. Truly a 5* book. A fantastic book! Really good a real page turner! You’ll be suprised how it turns out in the end between everyone! But shhhh…. I ain’t telling you! You just got to read it! Haha!